Halloween is a great day of celebration and superstition. Running around in scary or zany costume is just another plus of the holiday. October 31st is also the date of another holiday, one with some very historic origins. We are talking about, of course, Reformation Day. That is the day Martin Luther first challenged the Roman Catholic Church and nailed his 99 theses on the door of the church. It was quite a brave feat to go up against the Catholic Church and, in turn, the Holy Roman Emperor as well. Luther was not only excommunicated but labeled as an outlaw by Emperor Charles V.
Wow, that monk sure had some cajones! 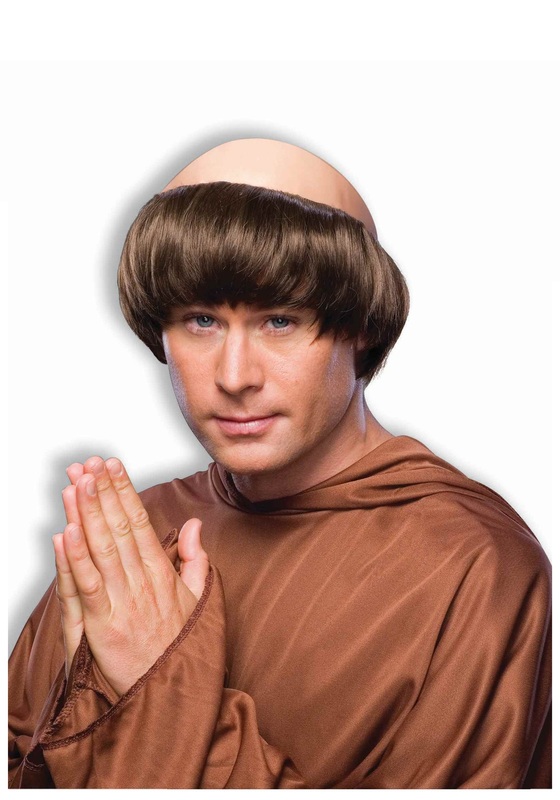 Now you can honor his memory this year by going out as a monk for Halloween. All you need is a brown robe, a golden cross, and this handy Dark Brown Monk Wig! Slip this wig around your crown (and save yourself the hassle of actually shaving your head) and you'll be ready to portray one of the most monumental figures in the history of the Christian religion.